Great news if you’re a Pinterest Fan, Pinterest Article Pins are on the way. There have been quite a few cool Pinterest developments over the last few months. We now have Rich Pins. It’s still currently in trial phase but members can apply to have Rich Pins added to their publisher account. Here at Infobunny, we use Pinterest as part of our Social Media Strategy to generate traffic to our articles. Rich pins are the same as normal pins except that they just show more info with the pin image. Like product information, where you can buy, the costing involved in purchasing etc. This is a great update for those who have a retail business and pin their products or their services. 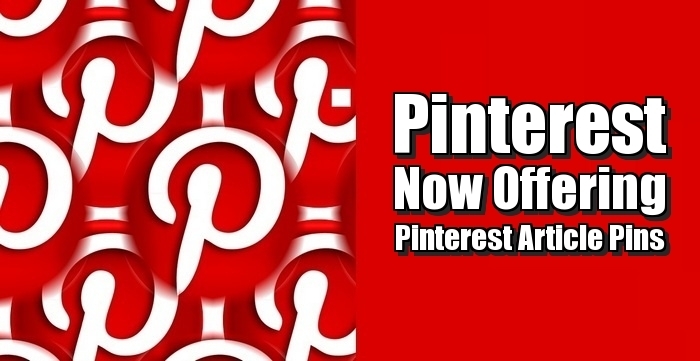 Pinterest is also moving towards monetizing the platform by offering featured pins. The idea is you pay a fee to have your pins featured. And the newest development is Pinterest Article Pins where you can pin an image from an article. This generates a snippet of the article text from the full article text. This is going to be a great development for all those that use Pinterest. Especially those who are internet marketers, article bloggers, and social media enthusiasts. Here is a Forbes article that explains more about Article Pins and how great Pinterest is for generating traffic. We also get some interesting comparisons between Pinterest and its social media rivals. If you’re a publisher within the women’s vertical, you probably already know that Pinterest is a major referral source of traffic. If this is news to you, start article pinning! Yieldbot, a marketing company that matches real-time intent with advertisers, released a study looking at 1.5 billion monthly page views across leading publisher websites and found that Pinterest dominated referral traffic, representing 85.2% compared to just 8.3% for Facebook FB +0.38%. On the mobile platform Facebook performed better (4.6%) than Pinterest (1.2%). i found a second article that I found interesting from TechCrunch.com. It again talks in depth about Article Pins and also touches on Pinterest Featured Pins and Pinterest Ads. Only days after announcing the launch of ads, social media /social networking site Pinterest is now making an appeal to publishers. The company is today rolling out an updated “article” pin type, which is designed to expand Pinterest’s reach beyond those pinning photographs or product images linking to e-commerce sites to those also interested in saving and sharing home based biz articles and stories they’re finding around the web. The updated article pins will now include more information such as the headline, author, story description, and link to the source right on the pin itself. Of course, Pinterest previously allowed users to pin articles — in fact, the service lets its users enter any URL they choose, and add those links to boards for better categorization. But until now, these pins would only include an image and small link to the post. With today’s changes, Pinterest notes that all the articles pinned to the site in the past will be updated to the new look-and-feel without any extra effort on the pinner’s part. For media publishers, like TechCrunch, who have been using the service as a way to curate content for readers, the extra metadata will show up automatically. Pinterest is one of my favorite social media and content curation sites. With the introduction of Article Pinning, i advise everyone gets involved. 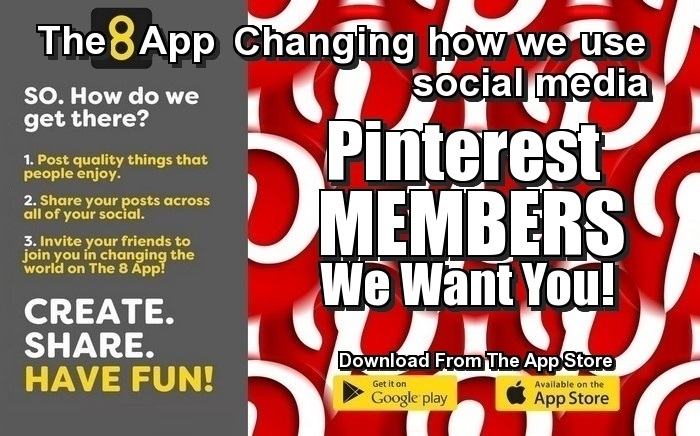 I use Pinterest to market and promote my home based business articles and new home based business opportunities. Pinterest is a great source of backlinks and niche traffic to any program, home-based business or hobby you are involved with. That’s all for now, thank’s for reading my article, to your continued success! Regards Dexter Roona – Don’t Forget To Follow Me On Pinterest.